Private military companies are profit seeking non state actors that specialise in hiring private military contractors to deliver core and support military services previously undertaken by the state, including; security provision, combat support, technical support, intelligence gathering, logistics, military training, and the procurement and maintenance of arms and commercial high technology. Initially, private military companies operated in conjunction with the military. Deepening economic globalisation and the collapse of the Soviet Union in the 1980s provided the impetus for military privatisation. The global market for military resources was soon inundated, setting the foundation for the birth of a professional private military industry. These factors shifted the global power balance to the US. The US was now able to downsize its armed forces, while strengthening its reliance on military contractors. Initially, private military companies specialised in small scale, short-term security operations in unconventional battlegrounds. 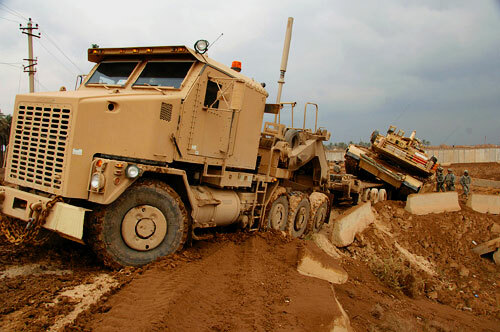 However, they have evolved from operating alongside US forces in support roles in the first Iraq war to providing indispensable combat assistance and security in the current Iraq war. The shift from partial privatisation began when developed countries such as the US contracted-out the delivery of both support and core military functions in the early 1990s to private military companies. This was a radical policy shift because previously, only non-core functions were outsourced to maintain the integrity of wartime operations. States have ceded their sovereignty to the will of the market and undermined their monopoly over legitimate force. About 180,000 contractors work for the United States (US) government in Iraq, outnumbering US forces by about 13,000, performing military tasks once the exclusive domain of the state (Gray 2007) (Allard 2007). PMF usage has surged tenfold between the first to the second Iraq War. Worryingly, private military companies are now the second largest partner in the ‘Coalition of the Willing’ in Iraq. The spectrum of services offered by private military companies and their ability to fill skills gaps makes them indispensable to successful modern warfare. In Iraq, they gather and disseminate intelligence perform numerous critical operational and tactical roles and operated computer systems that generated the tactical air picture for the Combined Air Operations Centre. Soon, they could fill troop shortages when the ‘Troop Surge’ strategy is wound back (Gibson 2007). Private military companies undertake indispensable defensive security operations in Iraq. Blackwater Security Consulting guarded former Iraqi Administrator, Paul Bremer. DynCorp International’s private guards train the new Iraqi police force. Aegis Defence provides security on all major Iraqi government projects (War on Want, 2006). While the array of professional PMF services continues to open lucrative markets in Iraq and promises to slash war budgets, it also means the US is more reliant on them to formulate strategy and even provide food supplies. 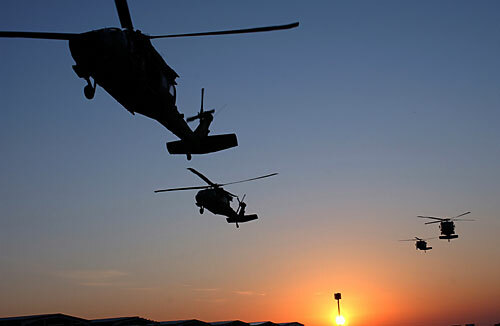 Private military companies say outsourcing improves efficiency, productivity and service. However, their imperative to grow has concentrated the market, meaning contracts are not awarded through competitive tendering. Halliburton was unilaterally awarded a contract for the supply of fuel in Iraq which forced the US to pay $2.64 per gallon of gasoline, double the price of buying and delivering fuel through the Pentagon’s own Defense Energy Support centre. Private military companies view warfare as lucrative business (Collins 2007). They aim to maximise returns by avoiding battles with high human and financial risk where their commercial and contractual goals could be compromised. During upsurges of violence and contractor kidnappings in 2004, the US military had to contend with private military companies delaying, suspending, or ending operations because they found them too dangerous. Military contractors are not accountable, bound by the chain of command or concerned about US foreign policy objectives. The US military has ceded some control over the implementation of its strategy in Iraq and its power to rapidly deploy troops to trouble spots without confronting contract renegotiations. Private military companies undertake indispensable security operations on behalf of the state, but operate without oversight. Commercial in confidence objections are used to reject responsibility for any wrongdoing. Accountable extends to shareholders only. Effective privatisation involves open and competitive tenders and strict contracts with expiry dates. From 1997 to 2002, the Department of Defense nearly doubled its funding towards private military contractors from $47.2 billion to $71.6 billion without competitive bidding. Private military contractors in Iraq are not even monitored by the US Department of Defence to ensure they are properly fulfilling their contracts. This self-regulation model has come under intense criticism in light of the faltering investigation into the role of Blackwater Security Consulting in the deaths of 11 Iraqis late last year (Parker 2007). Military contractors’ improprieties can only be dealt with internally through fines or termination of contract. Despite private military companies claiming to operate in free markets for force, they must be regulated. Private military contractors are exempt from criminal prosecution under Iraqi law due to Order 17 issued by the now defunct Coalition Provisional Authority. Nor does most international law, US law or the Geneva Convention hold any jurisdiction over them because of their murky legal status. As a result, no private military contractors have been prosecuted for alleged abuses in Iraq. Private military companies in Iraq are only contractually bound by the special rules of engagement set by the Defense Department (Isenberg 2006). The Abu Ghraib prison scandal in Iraq illustrates this point. In the absence of oversight or enforcement powers, Titan Corp sub-contractors were outside overseas jurisdiction and exempted from Iraqi law, leaving authorities unable to prosecute them for alleged offences committed in their interrogation and intelligence roles (Fallah, 2007). Private military firms make and control the rules of the game away from public and media scrutiny. The neo-conservatism of the Bush Administration has politicised the tendering process towards ‘favoured contractors’ making non-competitive bids for open-ended contracts. The stranglehold private military firms had over military contracts only grew with the “just in time” strategy used by Cheney and Rumseld to respond to emerging military needs. In 2001, Halliburton won a lucrative cost-plus contract worth almost $3.7 billion to provide logistics support in Iraq. It is now under investigation for overcharging. Similarly, Kellogg Brown & Root, a subsidiary of Halliburton overcharged the US military by up to 40 percent for the supply of meals in Iraq. Inconsistent entry procedures have meant unscrupulous contractors lacking qualifications; training or ethical principles have been hired in war zones. In general, private military firms are luring elite officers and experienced soldiers from the armed forces due to their lucrative per day pay often ranging from $500 to $1,500 and contractual freedoms. Perversely, while endorsing private military firms in Iraq, the US military is also facing severe retention issues because private military firms compete over public funds and uses them to attract publicly trained troops for private profit. The US strategy in Iraq has shifted due to souring public opinion of the war. It is now designed to privatise the costs, losses and risks from the war while maintaining a security presence in line with US foreign policy. In line with this, the Defense Department can tap the low profile force provided by private military firms while drawing down US troop levels (Gibson 2007). Private military contractors often tend to perform politically contentious tasks without regulatory oversight, insurance or medical cover (Knickerbocker, 2007). Private military firms are filling a more accepted role as legitimate private actors doing the ‘dirty work’ for contracting states because their casualties are harder to monitor and publicise. Department of Labor insurance-claims statistics indicate more than 400 civilian contractors had been recorded as killed in Iraq and another 6,646 as injured (Stockman 2006). Private military companies lower political costs because in the eyes of the public, the cost of a contractor making a healthy living out of war pales into insignificance compared to the life of a soldier representing their country. Blackwater Security Consulting has come under intense scrutiny over recent years for the way its private military contractors conduct themselves in Iraq. Late last year, Blackwater guards claimed they acted in self defence to protect State Department officials, returning “proportionate” force upon people they believed to be armed insurgents or suicide bombers (Ward 2007) (Reid 2007). The Iraqi regime refute Blackwater’s version of events, asserting Blackwater acted aggressively and shot a car and randomly in the vicinity without provocation (Tavernise et. al 2007). To Iraqi’s, Blackwater are undisciplined cowboys who have a track record of shooting first and thinking second (Bennett 2007) (Grier et. al 2007). Blackwater argues it was acting lawfully within its contractual duties (Sengupta 2007). Blackwater remains immune from prosecution because of Order 17. Security contractors have become indispensable in the war because they enable troops to concentrate on combat tasks (Gray 2007). However, claims are emerging that private military companies are encroaching upon combat or support operations and blurring the lines between contractors and soldiers (Collins 2007). If private military companies become further embedded into ‘mission critical’ roles, regulation and oversight must be hastened to tame such endemic excesses in the free market for force. You can watch a video below from PBS FRONTLINE (Private Warriors) taking a look inside the vast camps run by this Halliburton subsidiary. KBR (formerly Kellogg Brown & Root) is the military’s life line – and a target of the bloody, relentless insurgency. But what are the dangers in outsourcing the war to this extent? This article has been written by an anonymous writer who has chosen to write under the alias of Dogbert. No matter what we need to support our troops. We can support our troops without having to support BIG BUSINESS and POLITICS…wait are they not one in the same…BIG BUSINESS and POLITICS! Next PostNext Bottled Water or Bottled Environmental Damage?